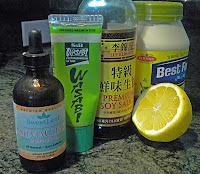 We often combine this dish with Blackened Ahi, as the wasabi mayonnaise is a perfect accompaniment to both. This is my preferred variation of a recipe I found on the Epicurious web site. 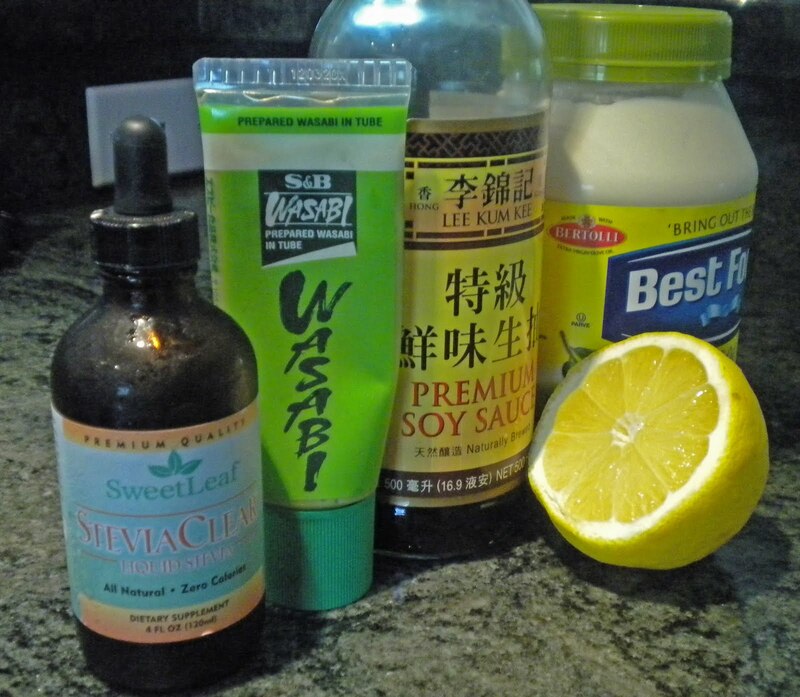 Mix together the mayonnaise, soy sauce, lemon juice, wasabi paste, and stevia to form a homogeneous sauce. Trim and wash the asparagus in a steamer rack. Boil water in a pan that will hold the steamer rack. Place the asparagus in the pan and steam for exactly 4 minutes. Remove the steamer rack and run cold water over the asparagus until they are lukewarm to the touch.